True Blood - Season 3 Poster from HBO. Season 3 cast poster from HBO. HD Wallpaper and background images in the ट्रू ब्लड club tagged: season 3 cast promo poster. Oh my Goodness! I'am So excited and i just can't hide it! Eric i think is a greater Man the Bill well Vamp/Man. Ugh, looks amazing! Especially Eric but I would've said that no matter what. ha eric i think did color his hair meganj15. 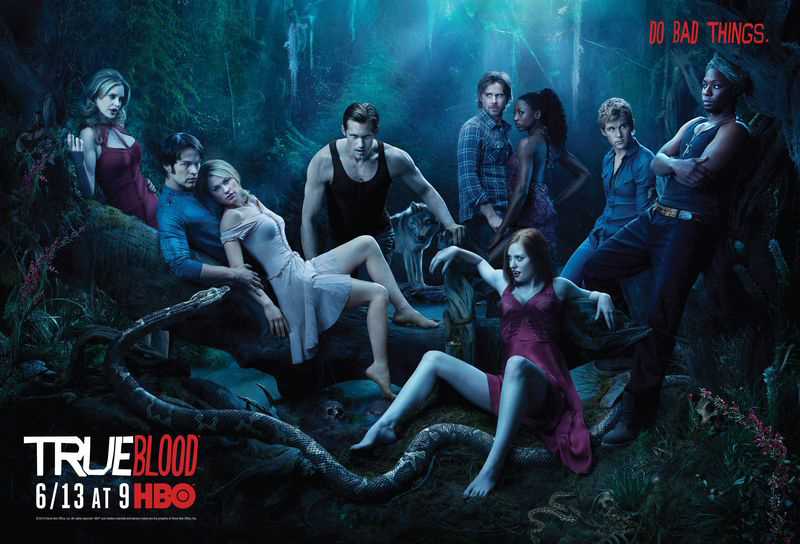 I love how Pam is in the promotional picture :D and I'm pretty sure that the dress she is wearing is the same that wore Serena in Gossip Girl (in 3x03)!!! i love how people are commenting about ERIC <3 rather than BILL </3 hahahah. Yummmmmie Eric look HOT!!!! !Cat wait for the new season!!! 2222uuu - Goddrick won't be coming back as he is definitely dead! He walked out into the sunlight on top of the roof, if you remember! I hope Bill dies, i hate him. Sookie has a great love for Bill, but her and Eric would be great!! Besides, I want to see a lot more of Eric! I love every single Character on this show!